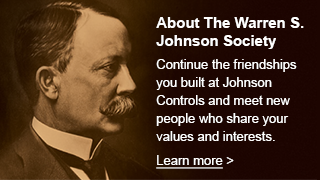 A Johnson Controls press release from May 5, 1987 announced the company’s part in the $160 million renovation of Ellis Island into a National Park Service museum dedicated to immigration. Touted at the time as the “world’s largest historic renovation project,” the restoration of the Ellis Island buildings included a $1.6 million company installation featuring a JC/85 Facilities Management System. The system monitored and controlled HVAC, lighting, fire, security, and energy use for Ellis Island’s Main Building and powerhouse facility. 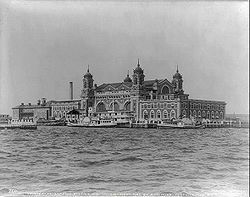 Ellis Island served as the point of entry into the United States for some 17 million immigrants between 1892 and 1954. After the immigration station closed, the buildings fell into disrepair and were all but abandoned. Attempts at redeveloping the site were unsuccessful until its landmark status was established. On October 15, 1965, Ellis Island was proclaimed a part of the Statue of Liberty National Monument and it was listed on the National Register of Historic Places the following year. The Island was opened to the public on a limited basis between 1976 and 1984, when the restoration project was begun. The Main Building was reopened to the public on September 10, 1990 as the Ellis Island Immigration Museum. Today, the Museum receives about 3 million visitors annually.